As Christmas approaches rapidly, you SHOULD have already got all your presents sorted (if you haven’t, there’s still time to buy with our guide to 10 presents you can still buy on Christmas Eve), so now it’s time to spend some money on yourself, with the little you have left. As always, ASOS has updated its ever-growing range, and we’re bringing you this week’s edit of our favourite clothes, shoes and accessories from the ‘New In’ section. Go on, treat yourself! I’m a big fan of clothes you can wear during a day at the office and then out for drinks later on, and this skirt is a perfect example of this. The colour is so gorgeous, and the scalloped hem gives it that something extra to your everyday A-line skirt. You can get your hands on this skirt for £20 here. I love printed trousers, as they’re so versatile. They’re comfy enough to wear chilling around the house, but smart enough to wear out and about, and even to work. The pattern on this pair is so pretty, and could probably be worn in the summer too, making them a great investment piece. These Vila trousers are available from ASOS for £32. Oversized shirts are the best piece of clothing for when you can’t be bothered with choosing an acceptable outfit. Throw one on with a pair of jeans or leggings and you’re ready to go out to the bar, the office or out shopping. This one has a really lovely pattern too, and, being black and white, could go with absolutely anything. You can buy this oversized shirt for £38 here. AMAZING DRESS ALERT! This would be gorgeous for a New Year’s Eve event, or any event during the year for that matter. It’s such a lovely and flattering shape, and the metallic waist belt is such a stylish touch, really making the dress stand out. You can get your hands on this dress for £55 here. 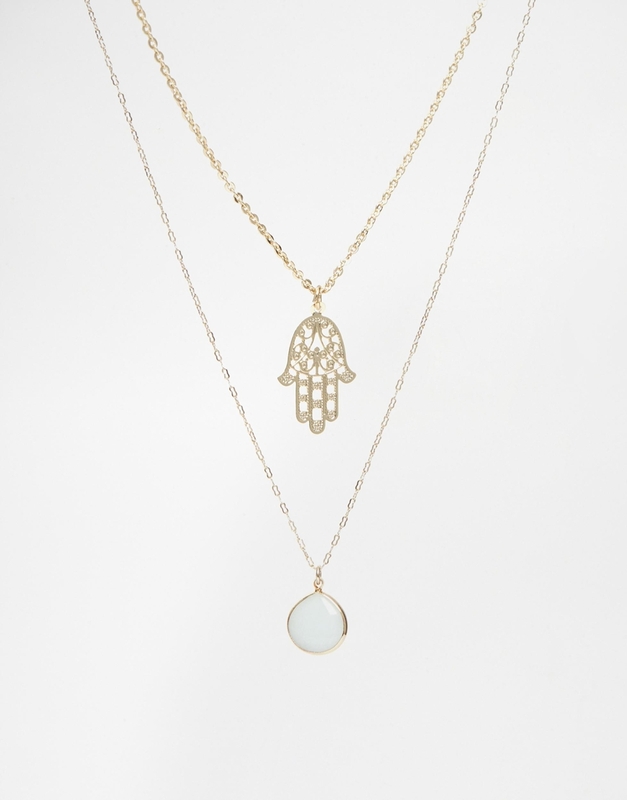 Two necklaces for the price of one is never a bad thing, especially when they’re both as pretty as this! You can wear them together or apart, and they’d still jazz up an ordinary outfit. These Orelia necklaces are available from ASOS for £18. I don’t know if you’ve noticed but it’s really cold outside, and sometimes the last thing you want to do in this weather is face the world. This onesie is absolutely amazing for chilling out on the sofa, pigging out and watching Netflix, especially as the pink ears will make you look like a cute little piggy. You can get your hands on this onesie for £28 here. You don’t have to go to Michael Kors to get a gorgeous blingy rose gold watch with your Christmas money. This Olivia Burton one is much cheaper, and just as expensive-looking. 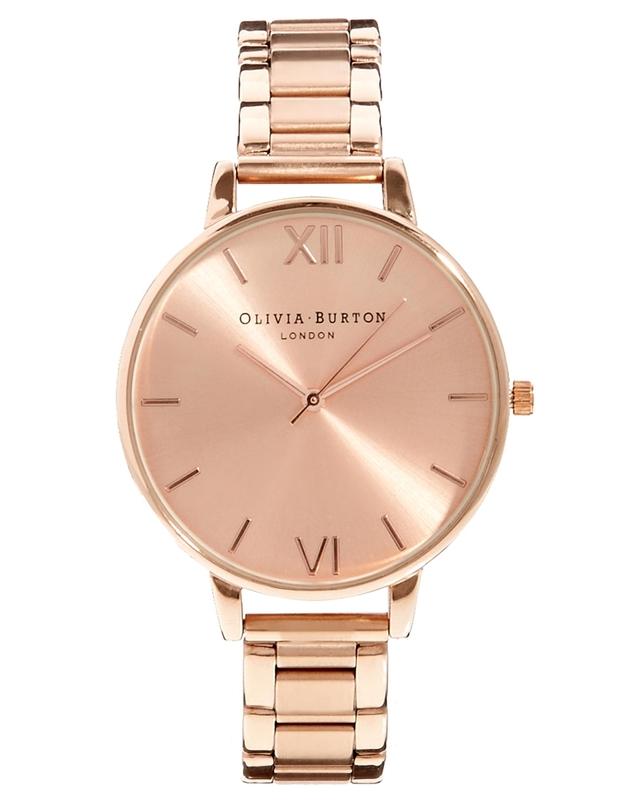 This Olivia Burton watch is available from ASOS for £95. Ok, so it turns out I love clothes and accessories with ears, seeing as I featured a purse with ears in last week’s ASOS edit, as well as an eared onesie in this feature. 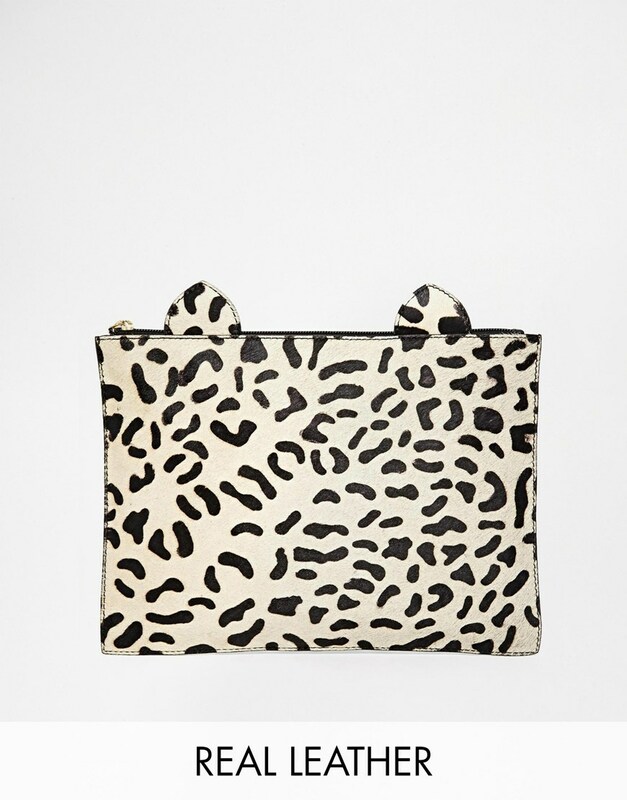 This clutch is so cool though, with its leopard print, plus it looks like a great size for carrying your life around with you. The clutch is available to buy here for £30. 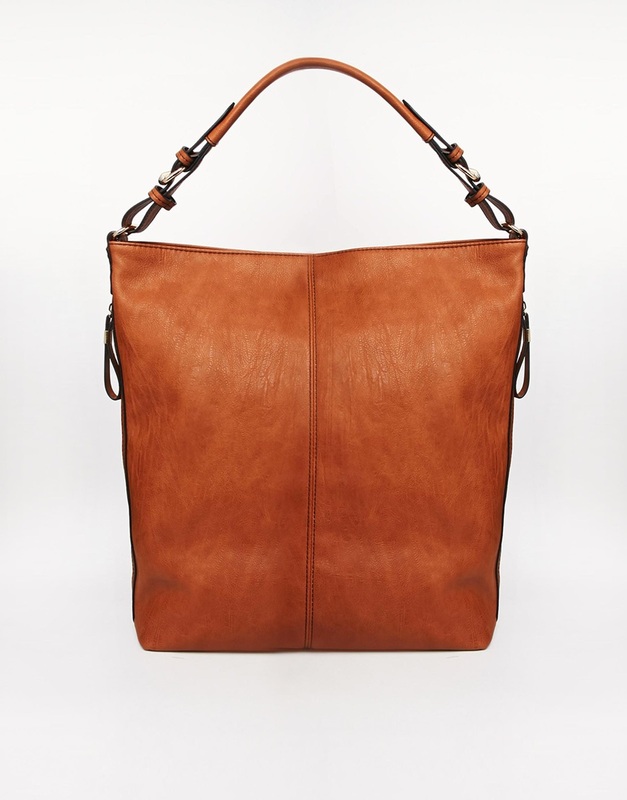 Hobo bags are so useful for carrying tons of stuff in, if you’re one of those people who need everything bar the kitchen sink with you wherever you go, and this tan one from Oasis is such a gorgeous and practical colour. 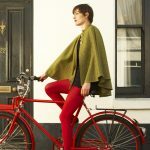 It would smarten up any outfit, and, you’d get the bonus of big tote bags making everyone look skinnier! Yay! This Oasis bag is available from ASOS for £30. 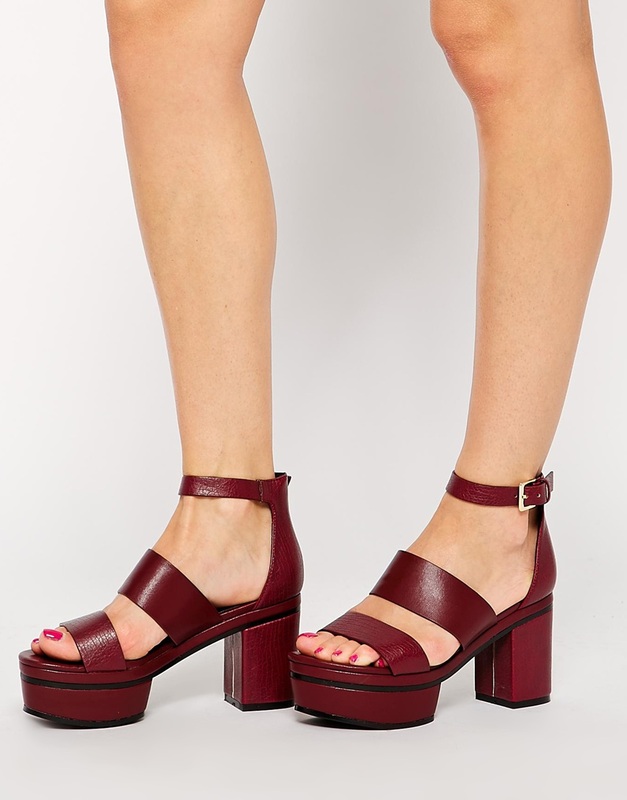 These heeled sandals are so beautiful, and such a gorgeous colour. They’re also platformed enough at the front, that they could easily be a pair of shoes that gives you that (much-needed, in my 5”1 case) extra height, without the pain. These heels are being sold on ASOS for £45.